In the middle of the North Pacific Ocean, at the far north west end of the Hawaiian Archipelago, lie a few tiny coral and sand islands encircled by a small reef. These little patches of dry land in the midst of a vast expanse of water and sky are Midway Atoll. Each year, these islands provide breeding habitat for a range of bird species. For example, the largest remaining colonies of two threatened species of albatross – the black-footed and Laysan – are to be found here. Between a third and two thirds of the global population of each species call this place home for roughly eight months each year; tied to the land and engaged in an endless movement between egg and chick rearing duties and the all important search for food at sea. We do not know with any accuracy how long these species have called this place home. Fossil records indicate that recognisable albatross species have been winging their way across Earth’s oceans for at least the last nine million years. And so, millions of years before anything like the human species appeared on the scene, these birds were here. Reduced now to a few small pockets of land, they have continued their ancient way of life: moving between land, sea and sky, soaring effortlessly over vast distances each day, and on land courting, dancing and singing with each other to form the strong pair bonds necessary to successfully rear chicks. But this ancient way of life is now threatened in new ways. On multiple different fronts, from introduced species to long line fishing, we are now undermining the possibility of the continuity of albatross generations – in short, we are pushing these species ever more closely towards the edge of extinction. This is true even on Midway Atoll itself. Even here, on this piece of dry land that is about as far as it is possible to be from a continental landform and 1,200 miles from the nearest significant human population (in Hawaii), these birds are not safe. Even here, the toxins and detritus of human life are accumulating to do harm. This is the part of the world’s oceans that has been called the North Pacific Garbage Patch by some. Others have called it ‘the seventh continent’. Whatever you call it, it is a vast and shifting expanse of ocean in which the average concentration of rubbish is significantly higher than normal. Within this area, plastic and other debris from all over the Pacific (and perhaps further afield too) collects in various densities, shaped not only by the movements of large currents, but also by smaller-scale oceanographic features. Adult birds in search of food for their young collect these plastic items – mistaking them for food, or because they are entangled with favourite food items (like fish egg clusters). From here, they are delivered into the hungry mouths of waiting chicks where they accumulate to cause starvation, dehydration, and generally undermine the health and wellbeing of growing bodies. 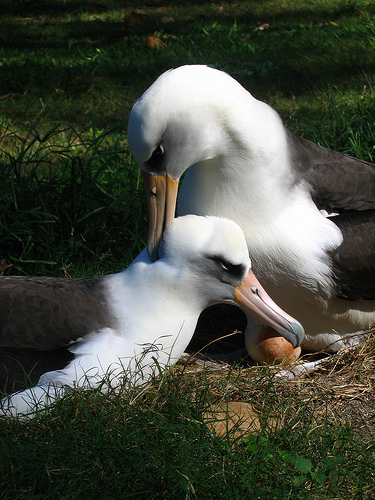 The mass death of albatross chicks is simply staggering. Vividly captured in numerous photographs by Chris Jordan. As the bodies of young birds pile up, these species are placed at even greater risk of extinction. Less than one hundred years of human ‘ingenuity’ – in the forms of plastics discovered or commercialised in the early decades of the 20th century – circulating through rivers and vast oceanic currents, to accumulate in the living bodies of albatrosses and play their part in the undoing of millions of years of evolutionary achievement. But it is clear that Midway’s albatrosses are just an extreme case, by no means a unique one. And as time goes by, both here and in all of the world’s other oceans, plastic concentrations just keep on climbing. How could they do otherwise; the stuff never disappears! Instead, plastics just break down into smaller size pieces (eventually into ‘micro plastics’) that allows them to enter and accumulate in smaller and smaller bodies, so that they might gradually impact upon a larger and larger range of living beings. And so, with the exception of those plastics that have been incinerated – to contribute to other toxic legacies – all of the plastics ever produced are still around in one form or another, ensuring that countless future generations of albatrosses, humans and others, inherit a growing problem. It was Chris Jordan’s photographs that first alerted me to the situation on Midway. 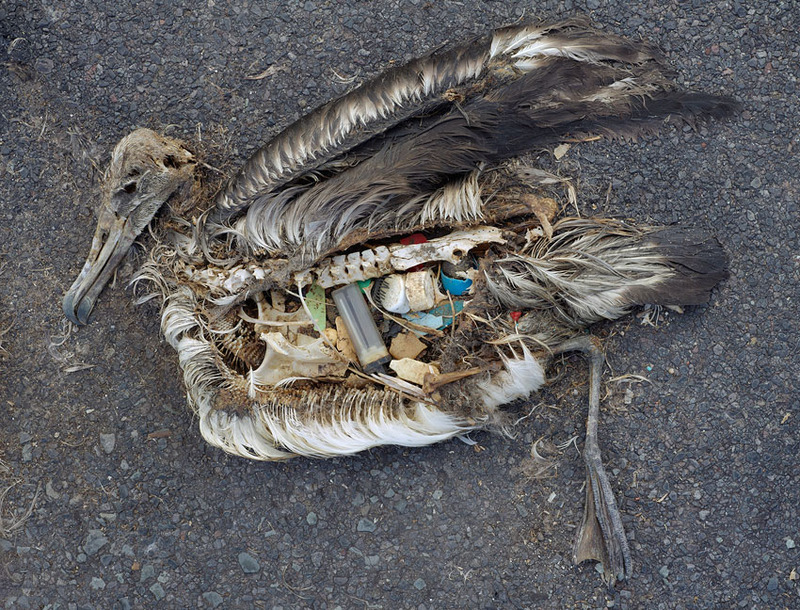 I have now written a chapter on this entanglement of albatrosses and plastics for my new book. The photos were first emailed to me in Australia by a friend in California. With the aid of the internet these images have circulated around the world. We need images like these. Images and stories that can travel far and fast: at least as fast as the plastics whose movements are powered by huge and relentless oceanic systems. We need stories that can reconnect people with the distant and ongoing impacts of their waste in a way that might make a difference for the future of generations of albatrosses and others. With this in mind, I am very pleased to see that Chris Jordan and others are collaborating on a related film project that looks to be both visually stunning and heartbreaking (still in production). MIDWAY : a short film by Chris Jordan from Midway on Vimeo. The persistent organic pollutants of Midway don’t yet have their own photos or film (as far as I know?). They are certainly less visible – at least for now. But, these chemicals are the agent through which ‘we’ – a collective noun that some of us are far more present and complicit in than others – perpetrate an ongoing and sustained form of ‘slow violence’ against many of the world’s living creatures. And so, alongside the urgent need to do something about all this plastic, we need also to pay attention to these less visible circulating harms. *1 Auman, Heidi J., James P. Ludwig, John P. Giesy, and Theo Colborn. “Plastic Ingestion by Laysan Albatross Chicks on Sand Island, Midway Atoll, in 1994 and 1995.” In Albatross Biology and Conservation, edited by G. Robinson and R. Gales, 239-44. Chipping Norton, NSW: Surrey Beatty and Sons, 1997. *2 Auman, Heidi J., James P. Ludwig, Cheryl L. Summer, David A. Verbrugge, Kenneth L. Froese, Theo Colborn, and John P. Giesy. “Pcbs, Dde, Ddt, and Tcdd-Eq in Two Species of Albatross on Sand Island, Midway Atoll, North Pacific Ocean.” Environmental Toxicology and Chemistry 16, no. 3 (1997): 498–504. Just found your blog and read this – an excellent piece shining an interesting light on an aspect of the extinction crisis. Hi Thom – Outstanding article and thanks for using my articles. 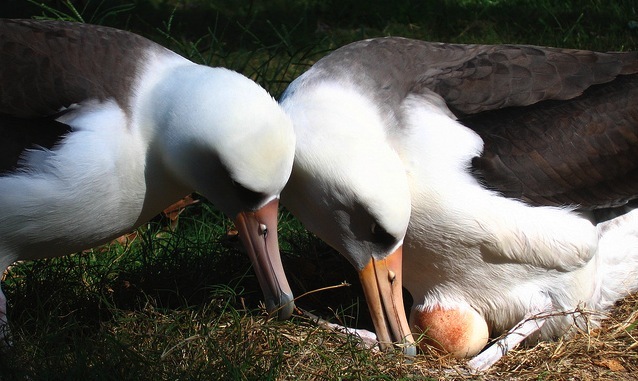 I spent 7 years studying plastics ingestion in Laysan albatross on Midway but need to spend more time writing in a more user-friendly way (like you have here) to share this with the world. 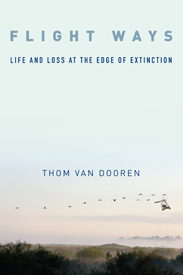 I see that you are writing a book on human impacts on birds – outstanding! Let me know if I can help in many way. Hi Thom, just thought I’d let you know that I finally published my children’s book, Garbage Guts (see http://www.garbageguts.net), based on my seven years at Midway studying plastic ingestion in Laysan albatrosses. Keep up the great writing! That’s great news Heidi. Thanks for letting me know.